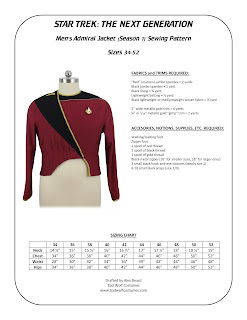 Bad Wolf Costumes: Men's TNG season 1 admiral pattern, Pre-order discount! Just wondering if you are planning on drafting patterns for Orville costumes? Maybe one day, but right now our queue is full of TNG-era uniforms!